Christine McCarthy has made great strides in Provincetown. Giuliano photos. 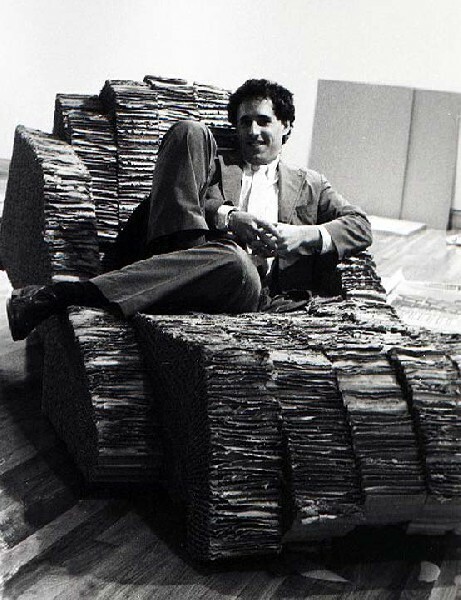 David Ross seated in a Frank Gehry chair was a maverick ICA director. 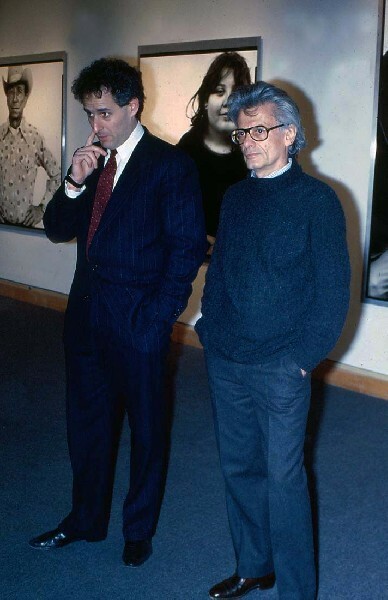 Ross was more focused on showing celebrity artists like Richard Avedon than building a new ICA. McCarthy advanced to be assistant to ICA director Milena Kalinovska. Kalinovskaâ€™s program was top heavy with women artists including Britainâ€™s Rachel Whiteread. 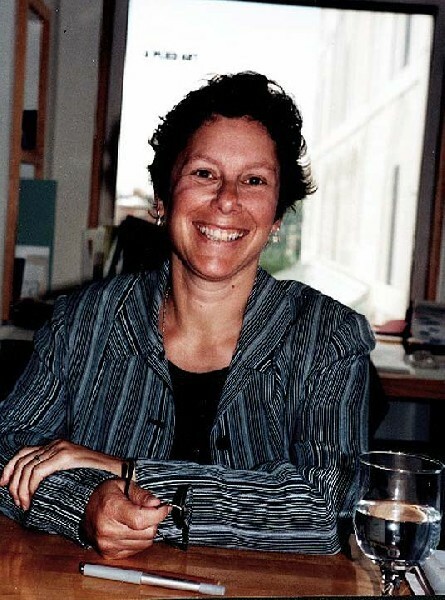 Jill Medvedow was hired with a mandate to build a new ICA. 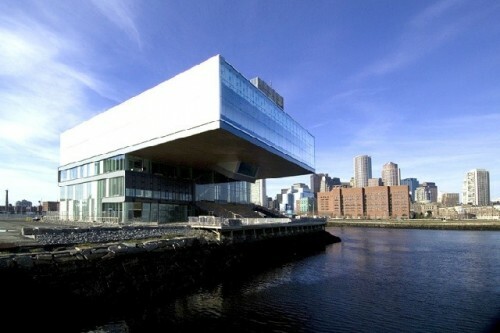 A dramatic new ICA on Boston\’s waterfront. 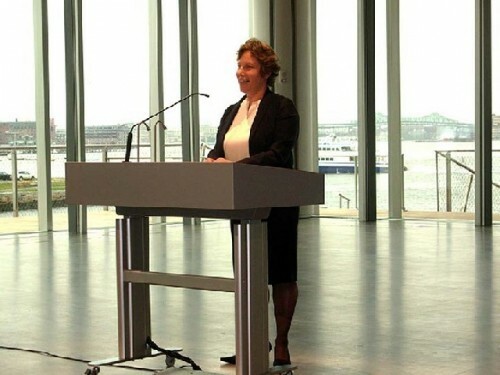 Medvedow at the podium during the opening of the ICA on Fan Pier. 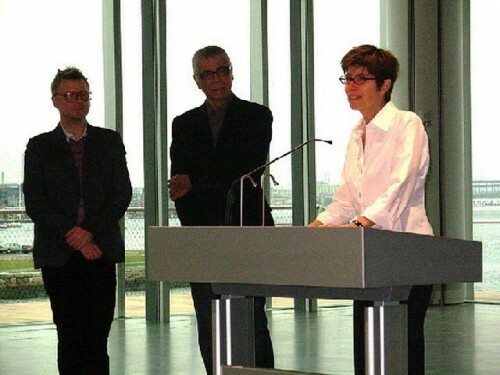 The architectural team of Elizabeth Diller, Ricardo Schfidio and Charles Renfro at the podium. 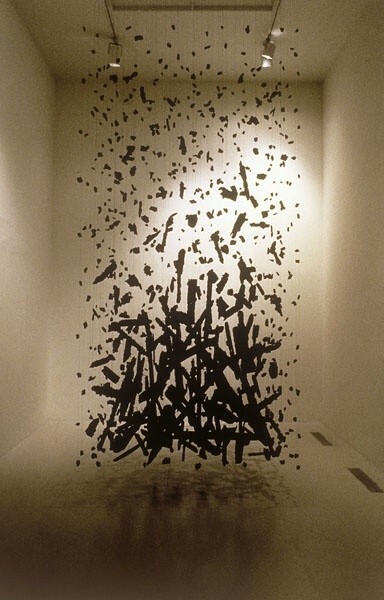 The first work acquired for the ICA collection by British conceptualist Cornelia Parker was show by Kalinovska. The first Provincetown art school was established by Charles Hawthorne. Artists flocked to P\’Town to study with Hans Hofmann. 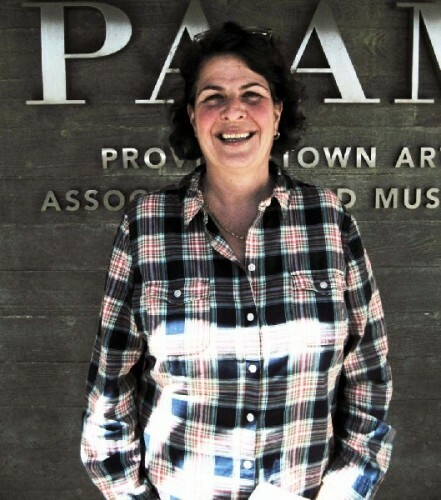 During a recent week in North Truro we met with Christine McCarthy, the director of the Provincetown Art Association and Museum (PAAM), for an in depth, wide ranging dialogue. In this first of several installments she discussed how she became involved in arts and museum administration. Her first job, after earning a double masters in art history and museum studies, was with the Institute of Contemporary Art in Boston. She rose from an entry level position as gallery director to become assistant to the director, Milena Kalinovska. When Milena left, in essence, she was acting director during the two year search before Jill Medvedow was hired. She was then shifted into a position in development and planning for a new ICA on Fan Pier. 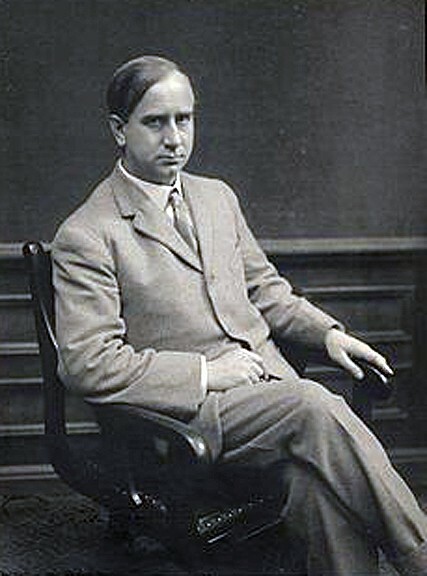 When the position of director of PAAM was offered McCarthy recalled taking a fifty percent pay cut to take on a challenging job with enormous potential. It was a condition of her accepting the directorship that the institution would undertake expansion and renovation. That has now been accomplished. In subsequent installments McCarthy discusses where PAAM goes from here and ambitious plans for its future. Charles Giuliano Before Provincetown you were with the Institute of Contemporary Arts in Boston. Christine McCarthy I was at the ICA from 1994 to 2001. I started with Milena Kalinovska, nobody next, then under Jill Medvedow for two years. I was in six or seven different positions and ended as director of administration and planning. My final job was divided between operations and working on the new building. I worked on the lobbying for Fan Pier. That entailed politicians in South Boston and the Mayor’s office. I left right when the architects were hired. I was there during the search. CG What was it that led you into arts administration? CM I have a BA in Humanities from Providence College. I did my junior year in Florence. All of my classes were in the museums: The Uffizi and the Accademia. My first three months were in Siena for intensive Italian language. When I came back from that year I definitely knew I wanted to do something related to art history and museums. I did an art history program at Syracuse. It was fine but it wasn’t doing it for me. Ironically, in my third semester Syracuse started a brand new museum studies program. Nobody signed up for it. They bribed the art history students and told us that if we took the museum studies courses we could get two Masters for the price of one; art history and museum studies. That meant staying for another semester. I was intrigued. Syracuse had just built an art gallery which was unbelievable. They had a wonderful print collection. My class was able to redesign the gallery and we curated out of the collection. The teachers had no idea what they were doing but it didn’t matter. The practical, hands on is what I really enjoyed. After Syracuse I did a one year fellowship at Yale. That was the clincher. I worked in prints, drawings and photography under Richard Field who was a genius. He taught me way more than I learned in my program. He also gave me access to handling and researching prints. Working with him on exhibitions. After that I moved to Boston and got a job at the ICA. I did tons of internships and had worked in a couple of galleries. But this was my first job using my skills to see how museums work. In 1994 I was hired with the Elvis and Marilyn show. I was hired to be the gallery manager and it ended up being a bust. It was huge in Graceland when they did it there. Boston just didn’t love the Elvis and Marilyn thing. When that show closed they let a lot of people go because they had hired extra people. They assumed it would be a giant boost for the ICA. It wasn’t. But I ended up staying on as the gallery manager but in six months I was upstairs. I was part time in operations. I was doing just everything. Then I became the assistant to the director. I worked with Milena until she left in 1999. So I was with her in the director office for three years. Then two years in the director’s office by myself. Until Jill was hired. That’s when I was moved to administration and planning and started working on the new building. CG Under Milena, in addition to Elvis and Marilyn, it seemed that the ICA was chasing niche audiences. There was the Malcom X show which reached out to African Americans. There was a gay themed show. CM On the flip side she did Inside the Visible. It was probably one of the best shows that the ICA has ever done. CG That chased a feminist audience. CM It did. But they came for it. I think Milena has a sixth sense about emerging artists. She would tell you which artists would hit it and she was usually spot on. Kara Walker was one of the first artists we showed there. Carolee Schneeman. The feminist artists who are huge now Milena was chasing them when I was at the ICA. CG Carol Rama! Claude Cahun (25 October 1894 – 8 December 1954) was one of the discoveries of that exhibition. Carol Rama (Italian, born 17 April 1918) was hardly an emerging artist. Later Milena gave her a one woman show. The work was interesting but so so. CM True but she was fabulous. The one who did portraits of all the models who weren’t pretty. Oh God, the name is escaping me. What was great about the ICA was that there was nobody there to hold your hand. Learn it or leave. Under Milena I got my Contemporary Art 101 and she taught me hook, line and sinker. She taught me more about contemporary art than anybody. There weren’t enough people to say ‘Let me show you how to do this or that.’ You had to figure it out. When Milena left there were nine of us running the ICA. There was no director. There was no director of human resources. There was no development director. There was no director of education. There was no director of operations. It was myself. A curator. Gallery people. An accountant and maybe one other person. That was it for two years. While they did the search. CG What was the board doing? CM Freaking out. They were trying to find a good director. 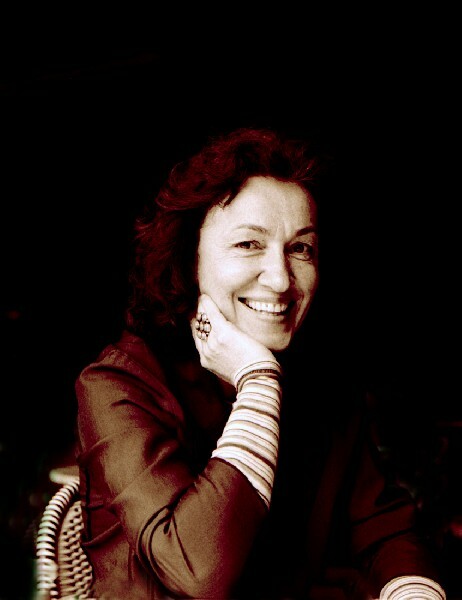 It was at least a year and a half before Jill (Medvedow) was hired as director. There were interviews and a lot of different people being considered. CG When Milena left I did an exit interview with her which unfortunately I never published. I have tried to contact her in the past couple of years to fill in that gap of the ICA’s history. She’s at the Hirshhorn. It’s an important story which should be told. Looking back David Ross couldn’t build a new ICA. Milena couldn’t. Jill finally did it. CM She did it because there was really no other choice. The ICA was either going to close or build a new one. That’s what happened with this place too (Provincetown Art Association and Museum). The same people were on the board for a long time and they got frustrated. Then the opportunity of Fan Pier opened up. CG Let’s step back a bit. Why couldn’t David Ross pull it off? CM He didn’t care about a new building. He was interested in exhibitions. Milena was a curator. She wanted to do exhibitions. That wasn’t Jill’s thing. She was about expansion and growth. She’s a good fund raiser and the Fan Pier parcel came up. The ICA was in what like 11 different locations before where it is now. The other candidates for the parcel didn’t fit the bill. One was a Wang Center which was way too big for the parcel and another was a movie theater. So why wouldn’t the ICA get it? It made perfect sense. Plus, under Mayor Menino, it would be the first new museum built in a hundred years. His administration saw that this would be a good thing for the city of Boston. At the time the whole idea was that Fan Pier would all build up at once. It was going to be shops and hotels and restaurants. Everything was going to happen all at one time. Everything kept falling through hands and fingers. The ICA kept going because they were given a parcel of land at a dollar a year for a hundred years. You’re not going to blow that. You’re going to figure out how to do it. CG How did that experience dovetail and carry over to here. It sounds as if you were the de facto director of the ICA. CM I was. I was the main liaison to the board. CG What were the similarities and differences in coming to PAAM? CM Someone sent me the job description for this museum. I had no intention of leaving the ICA and coming here. The job description was eight pages long. There was one other full time person and you basically did everything for no money. It was a lot. A typical job description is two pages. CG What attracted you about that? CM I figured I would apply and if I got an interview I would come to Provincetown for the weekend. You like coming to Provincetown right? Surf and salt air. Who wouldn’t want to? So I applied. I got a call. So I grabbed my best friends and we jumped on the ferry and came to Provincetown. I stayed with one of the board members and she is since deceased. Her name is Ruth Hebert. Her father was the family doctor in this town. I walked into her home and the collection was magnificent. It was all inscribed “To Dr. Hebert, Thank You, Thank You.” Having no money artists would give him artwork. Milton Avery, Karl Knaths. You name it she had it. CG It sounds like Reggie Cabral who settled bar bills at the A House with paintings. CM Kind of. He had been gifted jewelry and motels and all kinds of things. CM Yeah. Even a motel. Ruth was in her eighties and a spit fire like nobody’s business. She had been supporting non profits in this town; a lot of places for a lot of years. Staying with her was really the capper. I came for my interview in June. It was unseasonably hot probably 90 degrees and a thousand inside. I was wearing a suit. It was so hot. I took my coat off. I was dying. The committee was all in shorts and t shirts. There was the board and search committee with clip boards. Only the search committee was allowed to ask me questions. I never found out why that was. She looked at me and said “I like you.” In my head I said “good” because I’m not taking this job anyway. The interview went on for about three hours and it was so hot. There was a giant hole in the roof over there where the rain used to come in. There were spiders and cobwebs everywhere. The walls had burlap on them. These floors were funky. I didn’t just want to do this stuff (looking around at a member’s juried show). With a hole in the roof they couldn’t borrow works for exhibitions. I asked about the exhibition history and relationships with other museums. Quite frankly there was no borrowing because it rained in three of the four galleries. And there was no climate control. CG I remember when there was a screen door in that corner (pointing). CM Yeah and a skunk used to come in every day. CG There was no security. CM It was crazy. Crates couldn’t fit through the doors and they got unpacked in the parking lots. So I said thanks but no thanks. I stayed over at Ruth Hebert’s house and we stayed awake until three or four in the morning. She taught me about Provincetown. Not about gay parties and drag queens. She taught me about the art colony. She told me about living here when artists came to Hofmann’s School. 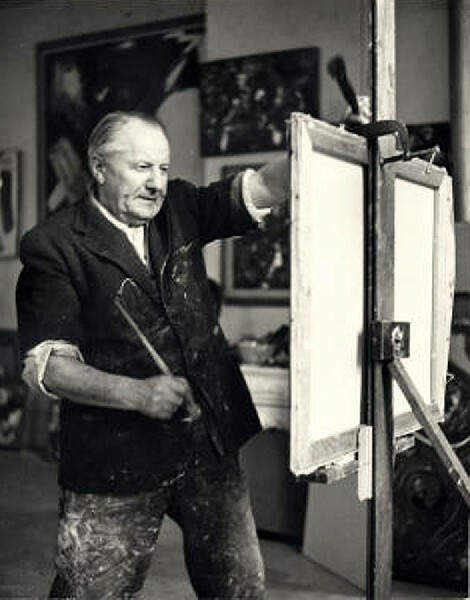 (And Henry Hensche’s, February 25, 1899 - December 10, 1992) Maybe I read about Charles Hawthorne (January 8, 1872 – November 29, 1930) in art history but I didn’t know anything about this art colony. She was the one who clued me in on how potentially exciting this place could be. Because of the rich legacy. I said why don’t I come back for a second interview and have it be more formal. Commitment? Are you going to pay me? Will I have to raise all my own money? Who is committed to doing this because if you’re not committed to doing a renovation, I won’t do it. I’m not going to have bakes sales here. I’m done and over with that. Back in my office at the ICA I couldn’t come up with a real reason why I shouldn’t do this. I was 34-years-old. If you are in the museum field your track is that you should finally make it to the point where you are a director. If that’s the administrative track you’re on I couldn’t come up with a good reason why I shouldn’t take it. Then I thought, hmm. This place is about 70% second and third home owners. With a lot of cross over from Boston. It included a lot of people whom I knew from Boston. CG It has always felt like Provincetown is a New York summer colony not a Boston one. CM No it’s quite a Boston summer colony. Tons. CG Is that a change? CM In probably the last ten or fifteen years it is. It’s about a third Boston a third New York and about a third Cape Cod. That’s my board right now. CG How many board members are there? CG Do they all give? CM You’re damn right they do. They give very generously. In many different ways. CG To back track a bit. 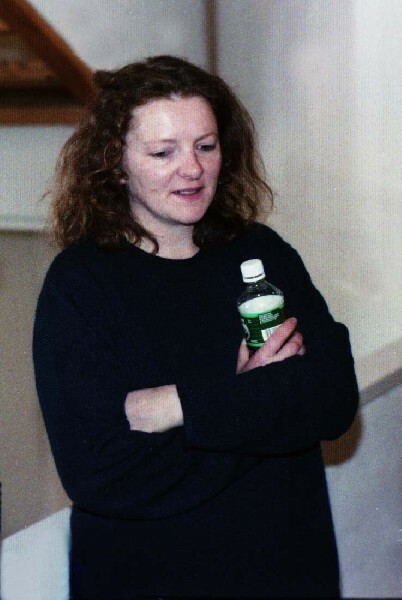 When I first became involved the director was Ellen O’Donnell (Rankin). It’s no secret that when she needed something there were just a few people to call like Reggie Cabral and Ciro Cozzi. CM Right, there were three. Reggie was before my time. Ciro didn’t really have a lot of money but he was supportive of me being the director. CG Ellen invited me to be on a panel and we stayed at Mervin’s. He was a great guy. CM We have a nice piece by him in the collection. CM The reason why there were so few is because nobody had ever asked those second and third home owners to be a part of this organization; on a governance level or on a giving level. I asked people from Boston, “We’re getting ready to do a capital campaign.” They said “Nobody has ever asked me before.” That how I raised $8 million to renovate this museum. CG Over what time frame? CM I started in 2001. It took a year to figure out who was who. What constituencies were serious about being a part of this museum. Tweaking the board. In 2002 we were in a quiet phase. In 2003 we announced the campaign. We broke ground in 2003 and cut the ribbon in 2005. Pledges came in over five to seven years. We increased our membership three times. We increased our budget three times. We increased everything by three times. We doubled the square footage of the space. We didn’t have any storage space for art so it was going to other museums. When you tell people in this town that things that allegedly belong here are going somewhere else they don’t like that. People weren’t gifting their collections of Provincetown art. The works were going to other museums. They were going to auctions. Because we didn’t have the right facility. Now we have one storage unit off site for really giant sculptures. Some 98% of the collection is on site. It’s top of the line. CG Has that had an impact? CM Oh yeah. Huge. Because people were waiting. When I started we had 1,000 works now we have 3,000. That’s in twelve years. With promised gifts, estates and planned giving. We have superior collections coming here in people’s wills and things like that. "Quite a surprise! I thought you were through with provincetown. Very informative and in-depth - best I\'ve seen with Chris"
"fascinating interview. can't wait for additional installments"